Smile Gallery Dental Clinic believes every smile should shine as bright as the person behind it. Through advancements in cosmetic procedures, and our dedication to achieving the best outcome, even the most damaged mouth can experience the illuminating brilliance of perfect teeth. The Uses of Cosmetic Dentistry | Why Are Porcelain Veneers Used? Filling gaps found between your teeth. This is the most important step as it’s when you and your dentist formulate the best course of action. Based upon your goals and the current state of your teeth, the dentist closely examines your mouth to not only ensure it’s an appropriate choice, but also what will be involved. The dentist may also take x-ray’s of your teeth and make impressions to further investigate your unique situation. Using a local anaesthetic to numb the entire area, your dentist removes a small amount of tooth to ensure there’s ample room for the veneer. A new impression mould is made of the procedure teeth and opposing teeth. Finally, your dentist may place temporary veneers on your prepared teeth until your final veneers are ready. It can take anywhere from two to three weeks to complete this process. 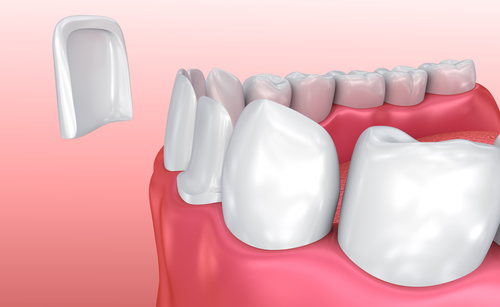 After removing the temporary veneers, your dentist places the newly created veneers on your teeth. If any adjustments are needed, they are performed, and when both you and your dentist are satisfied, the veneer is permanently attached with a special cement solution. While most dentists in Box Hill are qualified to fit veneers, few offer the experience and passion as our team at Smile Gallery Dental Clinic. If you’re curious about what porcelain veneers can do for your smile, call us at (03) 8595 2632 and schedule your appointment today!